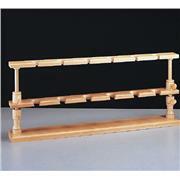 Constructed of hardwood, with clear laquer finish Holes are spaced 132 mm center to center. 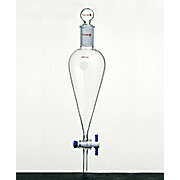 Maximum height approximatelly 48 cm; minimum 38 cm. 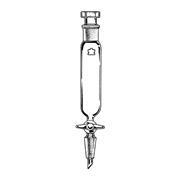 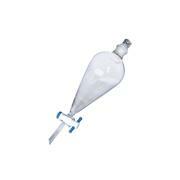 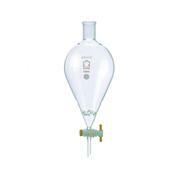 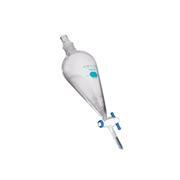 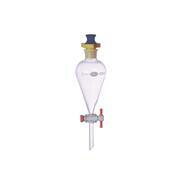 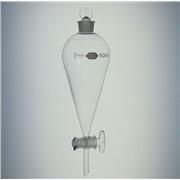 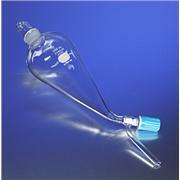 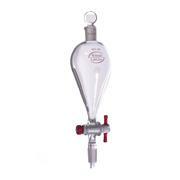 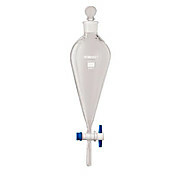 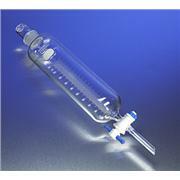 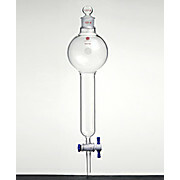 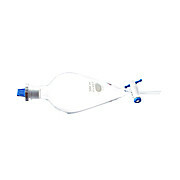 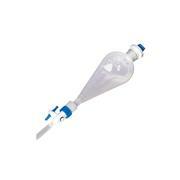 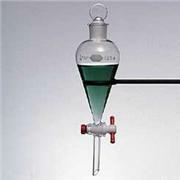 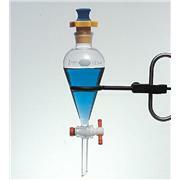 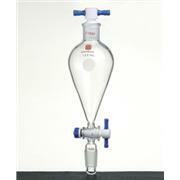 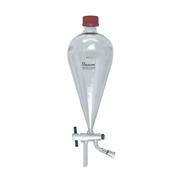 Separatory Funnel, Sure Grip, Glass or PTFE Stopper, Synthware, Capacity: 500-2000mL available, Stopper Size: #27, PTFE Stopcock Bore: 4mm, Straight section between globe and stopcock provides a sure grip while shaking and also aids in clamping. 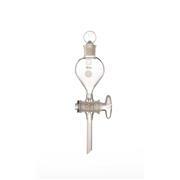 These replacement 60mL PYREX® Squibb separatory funnels do not have a Polytetrafluorethylene (PTFE) valve assembly or glass stopper. 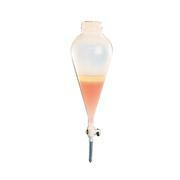 This non-corrosive separatory funnel holder, molded in PP, has a front opening which provides clear view of the solution and allows unobstructed placement of separating funnels. 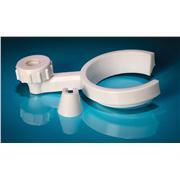 Two tapered wedges are provided to ensure firm grip on rods measuring 1/2" or 3/8" diameter. 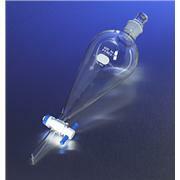 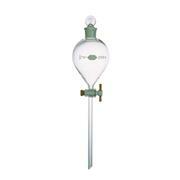 Separatory funnel featuring a glass stopcock and a PTFE stopper included. 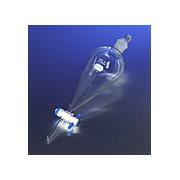 See Ace family 12632 for extra stoppers.